I was cruising Pinterest when I came across the tutorial and my son happened to be next to me. He is an Angry Bird fanatic and BEGGED me to make one. It turned out perfect and really does look like an Angry Bird! 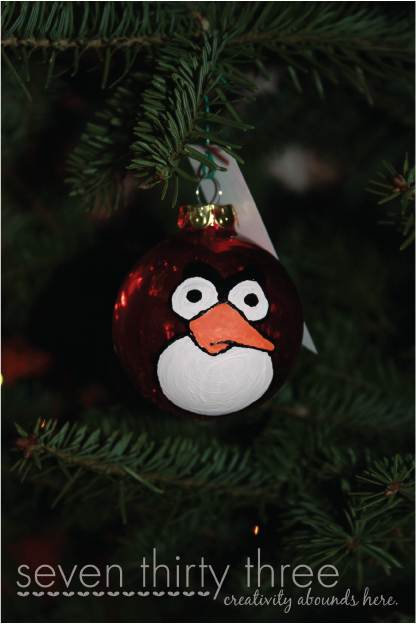 There’s still time to get one on your tree!